In the pursuit of sales, many salespeople and their employers make a key mistake. They forget their roots and to stay true to their local values. And it’s a mistake they can avoid by learning from any championship sports team. True, in any sport a great offense helps tremendously. However, more importantly, championships are won by strong defenses. Sports is a great metaphor for sales growth — build a strong foundation by being defensive-minded. Protect your turf first. That was a lifelong lesson from sports I first learned as a youngster growing up in southern California – as a fan of the legendary home-run hitting switch-hitter Mickey Mantle and the New York Yankees. It was a huge thrill when my mom’s boss gave her two tickets to the fourth game of the 1963 World Series. It pitted the Yankees against the Los Angeles Dodgers. The tickets cost a whopping $10 each. With great anticipation, my brother and I were ecstatic beyond belief at the prospect of attending the game sitting in the left-field stands. But it would provide the all-important lesson I’d soon learn about defense. The Dodgers had the premier defense of the National League. They were led by Sandy Koufax, the Cy Young Award and the league’s Most Valuable Player with 25 wins and a 1.88 ERA. Before the first pitch, the Dodgers led the Yankees in the series three wins to none. But my brother and I were sure the vaunted Yankee offense would attack the Dodgers and win four straight games to take the series. After all, the Yankees had slugged twice as many home runs as the anemic-hitting Dodgers. It was a classic player matchup. 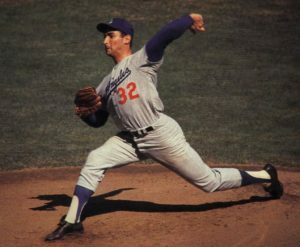 On the mound for the Dodgers was Koufax. Pitching for the Yankees was future hall of famer Whitey Ford, who had won the highest percentage of games than any other pitcher in modern times. 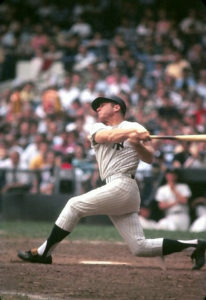 In the seventh inning with the Dodgers ahead, 1-0, the Mick stepped up to the plate batting right handed. And then a dream come true – the very next pitch he lined a shot into the stands narrowly missing my brother. The dramatic home run had tied the game. Unfortunately for us in the ninth inning, fancy-fielding Yankee first baseman Joe Pepitone couldn’t field a throw which led to the Dodgers winning, 2-1. We were shocked. For the first time ever, the Yankees had been swept in post-season play. Hence, this became a lesson about defense and protecting home turf – both in sports and later for me in business. It’s important to build a local base as a foundation for growth. Mistakenly, salespeople and businesses often prematurely seek greener pastures in other locales without protecting their home turf first. Yes, a business must dominate its hometown before expanding into other regions. The grass is not always greener on the other side of the proverbial fence. You must stand out in your hometown. You can’t afford to risk letting your competitors sneak in and steal your thunder. Otherwise, you’ll hate going to work. Tradition and precedents are important. Your hometown is where you started. Your first employees come from there. It’s where your first customers live. Loyalty counts in business. You have a social responsibility for community involvement. Show pride in your city. You must demonstrate quality in your products and services. You must become known as one of the best bosses. As you become successful, you must be philanthropic with your time and money by giving back. Show your town that you care for your employees. Treat them well. Tout their abilities, work ethics and customer service attitudes. You can do it with videos of them in your TV commercials, audio in your radio commercials, and in pictures on your Web site and social media. With their OK, write blogs touting your clients. Post them in social media. Use their testimonials and praise them on your site and in your advertising. Make certain that you make it all about them. You will be judged by your service to the community. Be discerning as you do your best to tie your business with major hometown events. Be consistent and be sure they’re relevant for your business. Not every event is best for you. Some are better than others. The best place to start is with relevant local charities. Cause-related marketing will be a winner for you and will increase sales by double digits. It will strengthen your brand with more trust in the community. Trust is paramount for success. You must take steps to be listed first online in your niche. Invest in search-engine optimization (SEO). Along with SEO, you must have a full potpourri of relevant social media accounts. A lot will depend which social media accounts are best for your industry. Strong social media will enhance your site’s rankings. Never rely solely on passive marketing. Dig deeper into your community. Develop Centers of Influence – determine whom and which organizations are best to become aligned and jointly ventured. Become the hometown favorites by develop your word-of-mouth capabilities. Take steps to turn local customers into fans and brand ambassadors. Stay in touch. Take good customers to lunch. Ask open-ended questions about their concerns and interests. Learn all you can to enhance your products, services and marketing. Invigorate Sales with 11 Customer Retention, Referral Tips — How to attract and keep brand evangelists with customer service and word-of-mouth advertising. 6 Best Practices for Your Cause-Related Marketing Program — Cause-related marketing programs can, of course, accomplish two goals: Help deserving organizations increase revenue and propel your business to a profitable, stronger image.